and Thy holy Resurrection we glorify". Merrillville, IN - The spiritual echo of the beautiful words of this church hymn to the Honorable Cross and the Holy Resurrection permeated and warmed the souls of the faithful people of God who together with their clergy gathered around their Bishop on the third Sunday of Great Lent. 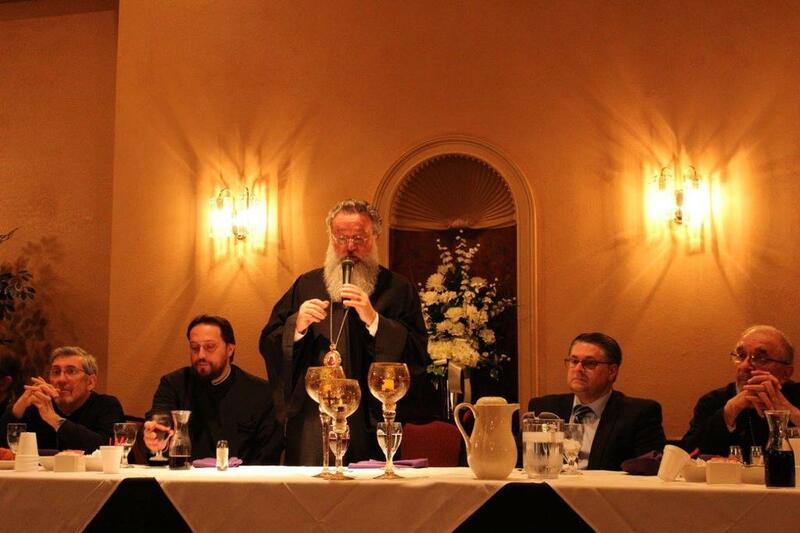 With the blessings of Bishop Longin, the Lenten Vespers was led by the Dean of the Chicago Deanery V. Rev. Nedeljko Lunich. After the service the clergy and faithful people of God, together with their bishop, His Grace Longin, made prostrations before the Honorable Cross of the Lord. 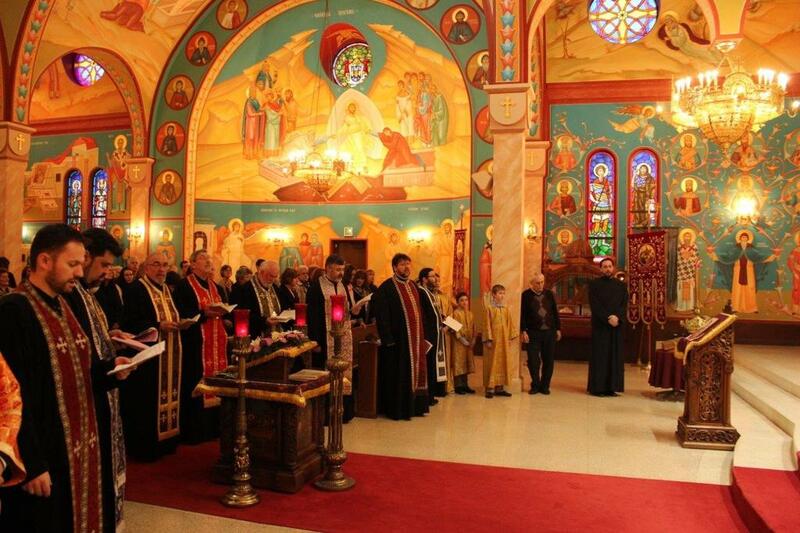 Adding to the prayerful gathering of the faithful people was the homily delivered by V. Rev. 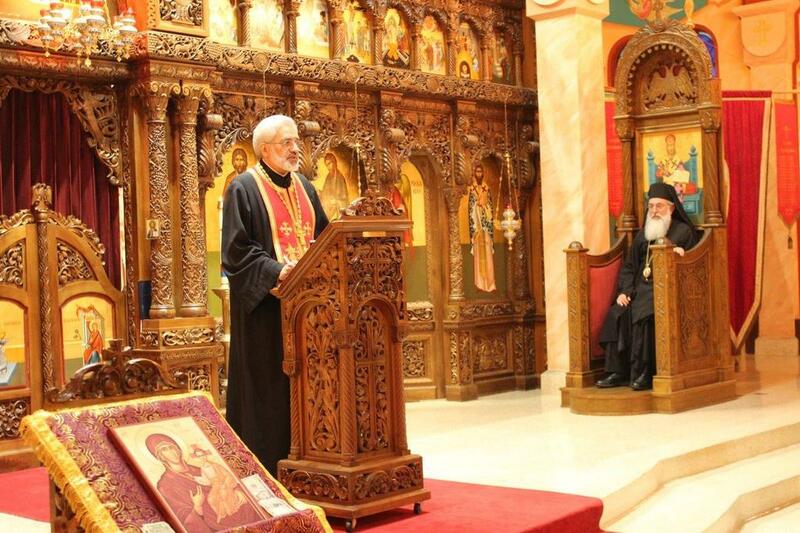 Stavrophor Dr. Milos Vesin, professor at the St. Sava School of Theology in Libertyville. 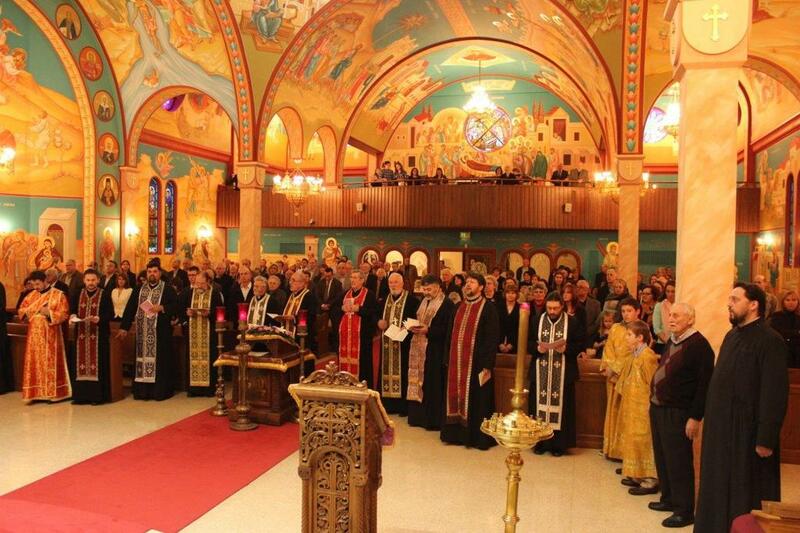 The beautiful and dynamic spiritual message of the meaning of the Honorable Cross and witnessing the living word of God in everyday life strengthened all the present at the St. Elijah Serbian Orthodox Cathedral. After the homily the clergy and faithful were led by the bishop in prostrations. During the service the Cathedral choir sang magnificently. The cathedral dean, V. Rev. 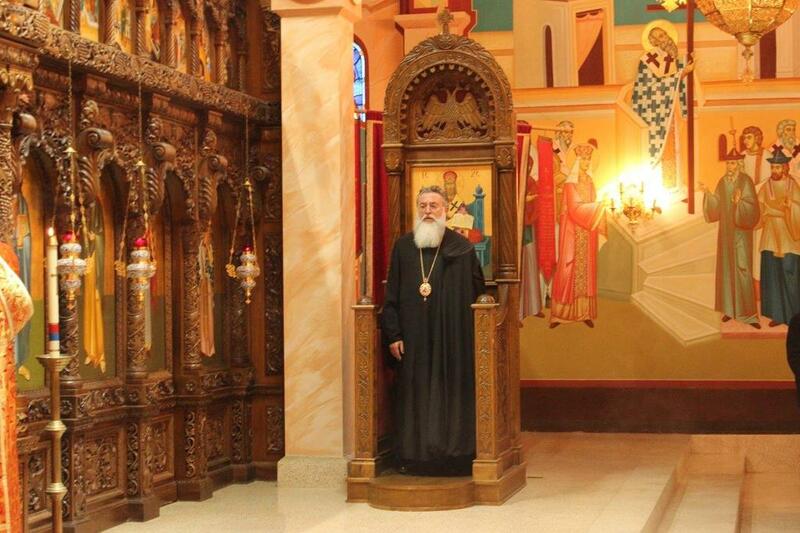 Aleksandar Novakovic, thanked Bishop Longin, the clergy and faithful for their prayeful visitation and expressed his hope that we continue our spiritual perfection during this Lenten days that we might worthily prepare for the coming of the Feast of all feasts, the Lord's Resurrection. 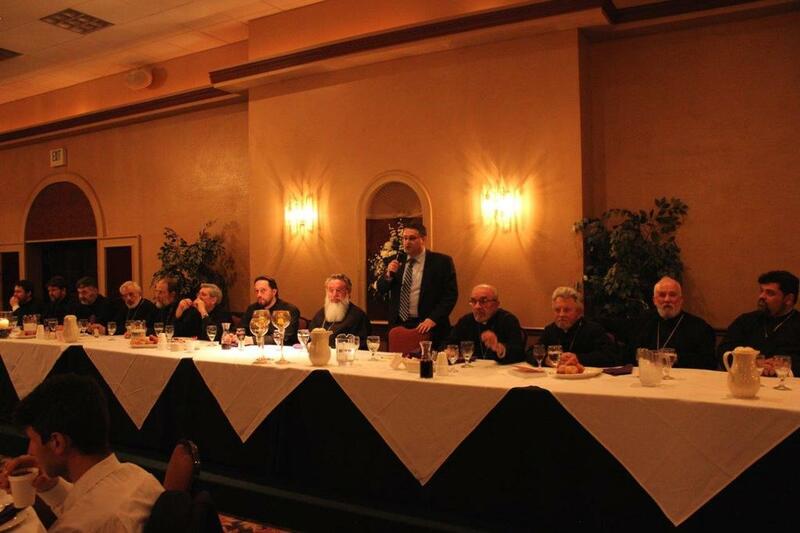 Also, the clergy of the Chicago Deanery congratulated V. Rev. 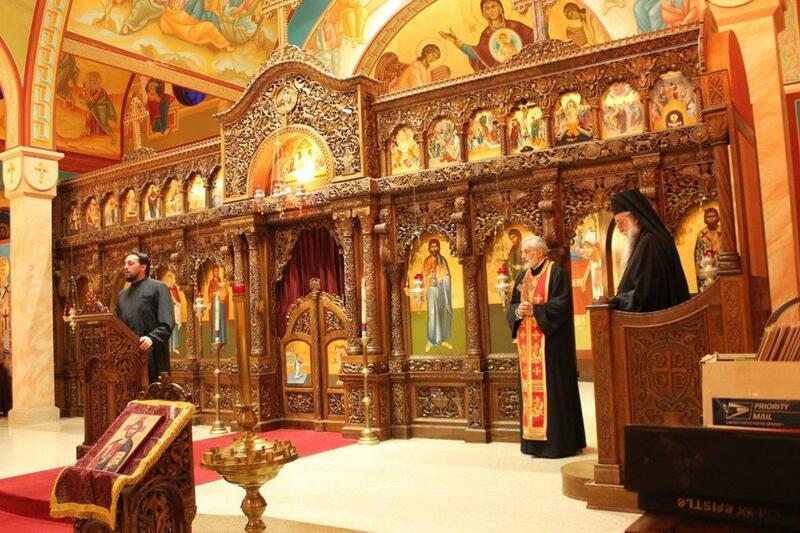 Stavrophor Nedeljko Lunich on the joyous occasion of his 50th anniversary of his ordination and thanked him for his tireless witnessing of the living word of God on the North American continent. 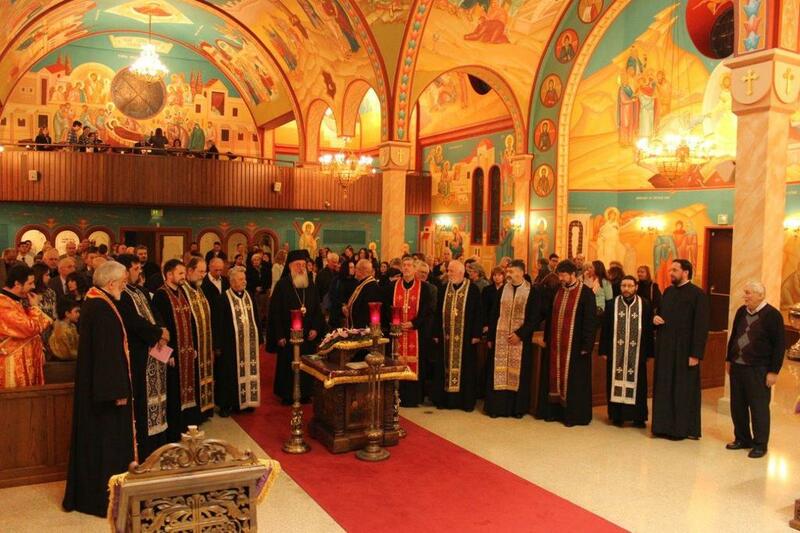 The prayerful presence and beautiful spiritual message of Bishop Longin regarding unity of all in the Lord and the significance of podvig and the prayerful journey of every Orthodox soul that finds its spiritual strength in the Cup of salvation, gave spiritual strength to all those present after the service. This prayerful gathering ended with an agape meal prepared by the hard working members of the Cathedral Serbian Kolo Sestara. 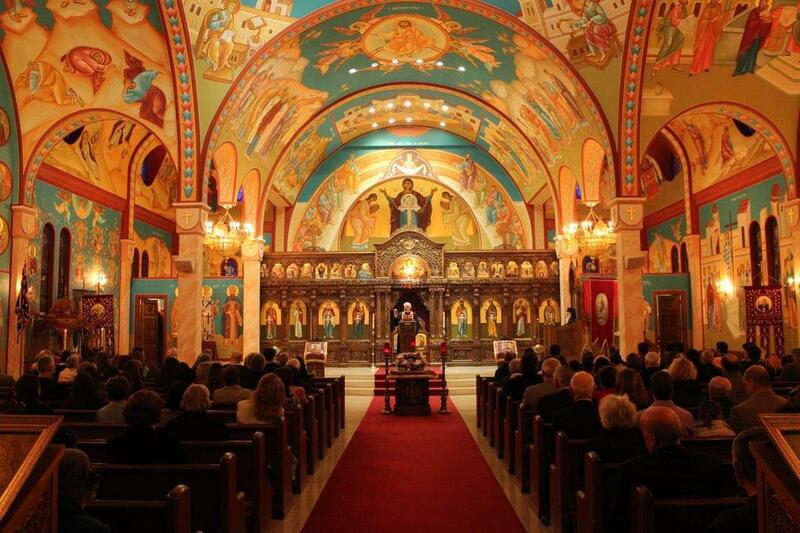 This was truly a beautiful spiritual event at St. Elijah Serbian Orthodox Cathedral in Merrillville, Indiana.